I was chatting with a friend from high school this morning, Ashley, and she told me about this awesome opportunity for a creative person. Ashley is the Chief Ambassador & Shoe Party Specialist for an organization called Sole Hope. I have heard about this organization through a couple friends on social media, but didn’t realize everything that they did. I feel so inspired to share this with you. To learn a little bit about their company read below or visit their website here. They are looking to bring on a photography or video intern for 3-6 months in Uganda, Africa. If I didn’t have the business to run, I would drop everything I was doing and take advantage of this awesome opportunity! I thought this would be perfect for someone right of school looking to build their portfolio. What amazing images and video you would have to share from this experience. 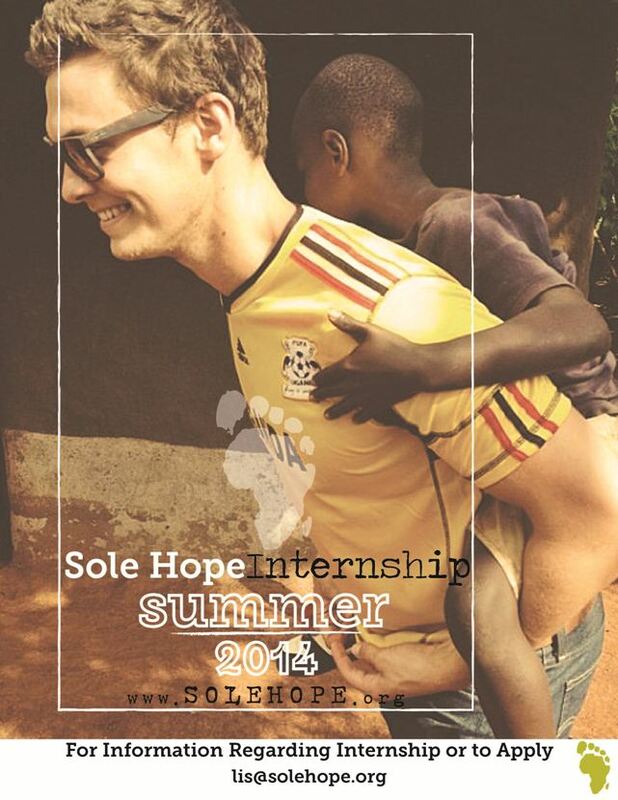 The contact information for Sole Hope is at the bottom of this image. Feel free to share this opportunity with other creatives!